Whether you are new to our Center or one of our treasured patients, we want you to know we are here to help you become healthier and save you money. A recent study showed that simple messages containing Health and Lifestyle tips had a profound affect on the well-being of those that received them. Imagine losing weight, reducing pain and increasing your energy and attitude just by receiving these. They cost you nothing and you can even decide how you want to receive these. Check them out! Now don’t forget I said saving you money also, real money. This we like to call our Did I Win Program. Each week when you get the health and lifestyle email there will be a link at the top, you simply click on to find out if you won a special gift. If you won, we will contact you, so you, a friend or a family member can take advantage of this and save real money. The best part is you can win over and over again and all you have to do is click every week when the email comes. There is one more thing I want to mention you and your family will find of great value and it costs you nothing. 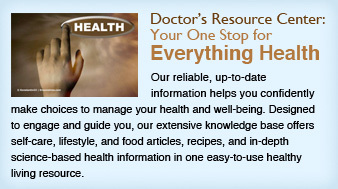 If you ever want to know anything about any health condition, food and recipes, special diet, vitamins or herbs or even drugs you may be taking, simply click on the Doctor’s Resource Image right there on the right of this page and it will take you to the most extensive database there is on the internet. We update it every week so you get the latest information, and of course my staff and I are always available if you have a question. My staff and I are dedicated to being your source of everything health. It’s Your Life… Live it in Health!